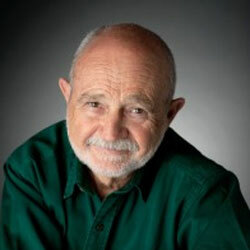 Culadasa has practiced Buddhist meditation for over four decades and is the guiding teacher at Dharma Treasure Buddhist Sangha in Tucson, Arizona. He has studied in both the Theravadin and Tibetan traditions, and this unique lineage allows him to draw upon a broad and in-depth perspective on Buddha’s Dharma. He also taught neuroscience for many years as a college professor, and worked at the forefront of new fields of complementary healthcare education and physical medicine. In his teachings, he combines the original teachings of the Buddha with an emerging, scientific understanding of the mind to give students a rich and rare opportunity for rapid progress and profound insight. He retired from academic teaching in 1996 to live a contemplative life in the wilderness of an old Apache stronghold in southeastern Arizona. He recently published the acclaimed “The Mind Illuminated. A Complete Meditation Guide Integrating Buddhist Wisdoms and Brain Science,” which is recommended reading for this course.